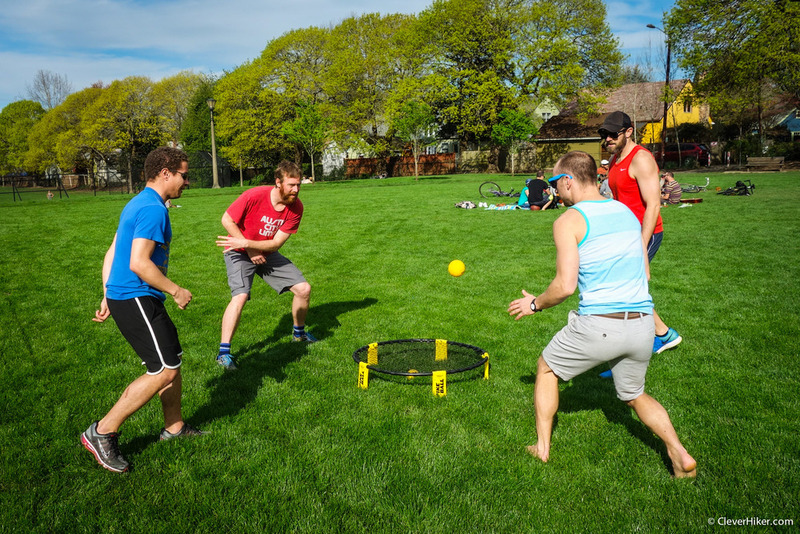 You may have seen the new game Spikeball around recently, and if you haven’t, you probably will soon. 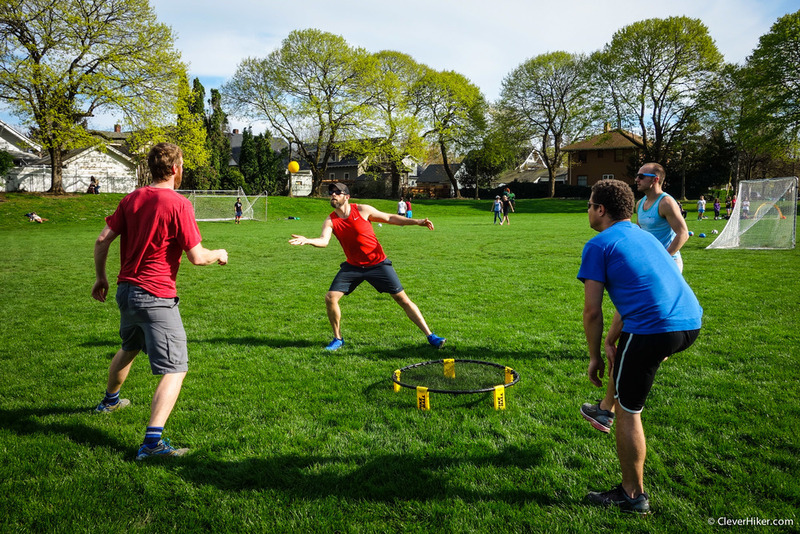 If you enjoy active games, chances are you’ll absolutely love Spikeball, so I highly recommend checking it out. My friends and I have recently gotten completely hooked on Spikeball, so I thought I'd give the game a special shout out on my blog. Spikeball doesn't have anything to do with hiking, but it's an awesome outdoor game that active people love, so I think it's a great share. 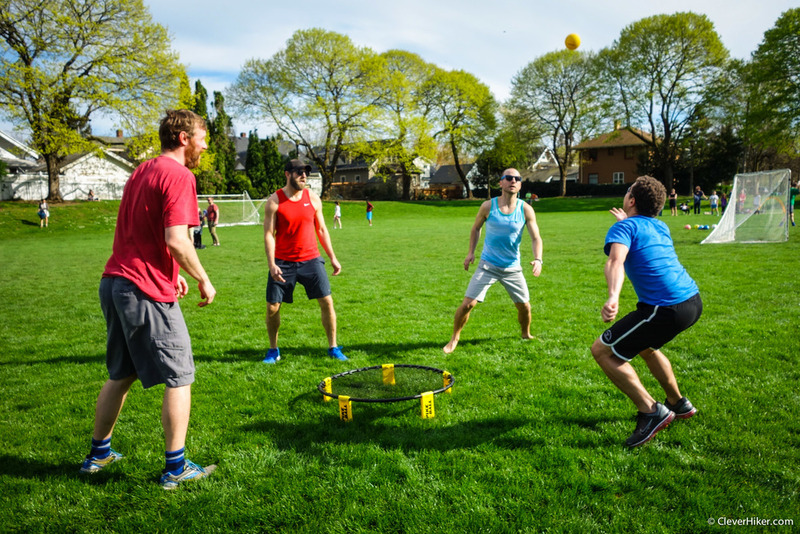 Spikeball is a ridiculously fun beach & park game played with 4 people. It's like a warped version of 2-on-2 volleyball that's heavy on spikes, drop shots, trickery, and diving around. It's great for players of all skill levels. 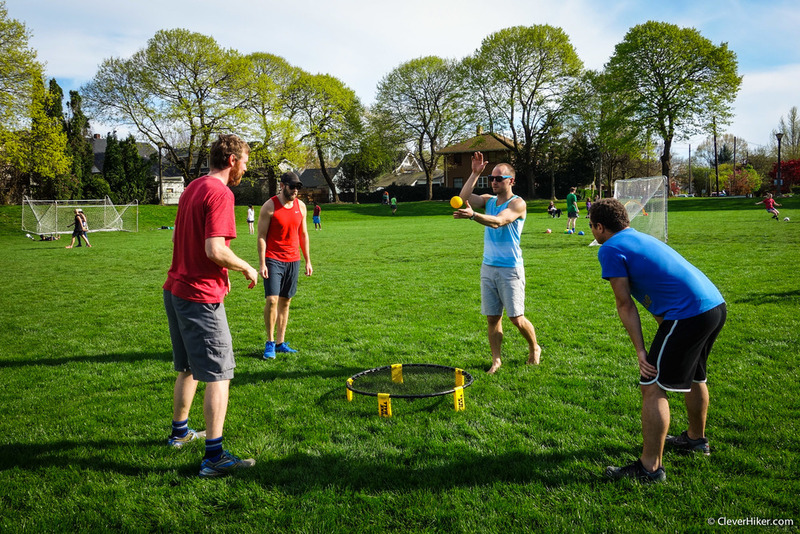 If you enjoy active outdoor games, you’ll love Spikeball. The rules are just like 2 v. 2 volleyball, except instead of hitting a ball over a net, you’ll be hitting the ball onto the net (trampoline) on the ground. The ball will bounce off of the net and the other team will have a chance to return it. Teams of two work together and can pass the ball back and forth up to 3 times before they must return the ball (hit the net). Just like in volleyball. If your team can’t hit the ball off the net before it hits the ground, you loose the point. There are no “sides” after the serve. Teams can use the entire field around the trampoline. Games are played to 21 and every serve registers a point (rally serving). Games are win by two. #lifeiswinbytwo. Like all games/ sports/ general activities the ultimate objective is to win at all costs. 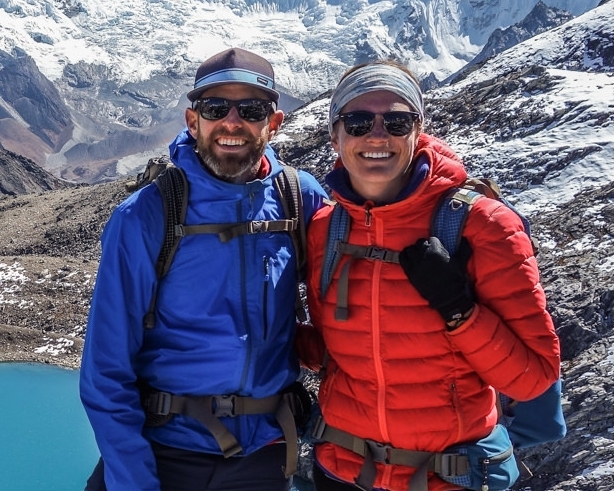 Want to see the game in action and learn how to play? Then check out the video below. These guys do an excellent job of explaining the game. Like this post? Click the little heart below to give me a digital high five. You'll also get rewarded with a mini heart explosion, which is kinda rad. Have questions or comments? Leave a note below and I'll try to respond asap. 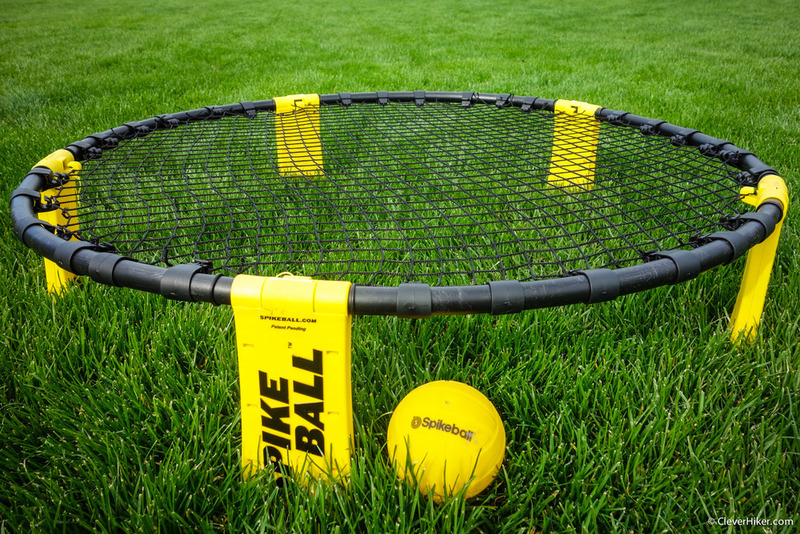 Disclaimer: I purchased this product with my own funds and I am under no obligation to promote Spikeball in any way.